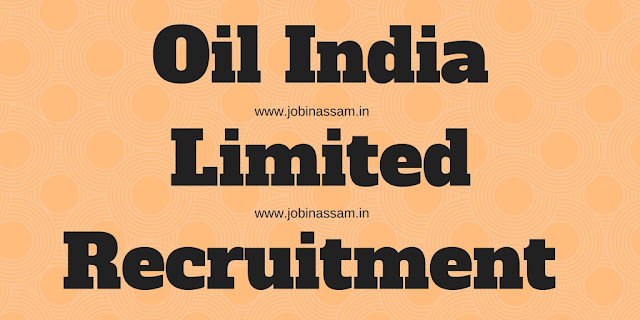 You can apply for Oil India Limited Recruitment 2017 for Grade C grade posts. You should apply online through the links given below. OIL is a Navratna Public Sector Undertaking. It invites online application from eligible Indian candidates to fill up various posts in Grade 'C' posts. OIL INDIA LIMITED (OIL) is a pioneer national upstream Oil and Gas Company with a pan India presence with growing global footprint, engaged in Exploration, Production, and Transportation of crude oil, natural gas and manufacture of LPG with its Field Headquarters at Duliajan, Dist. Dibrugarh, Assam, 786602. All qualification should be from an Indian University/ Institute recognized by AICTE/ appropriate statutory authority. Qualification: Graduate degree in Civil Engineering is required for Senior Engineer-Civil. Qualification: Post Graduate degree in Chemistry with PCM at Graduation level is for Senior Chemist /Senior Research Scientist. Qualification: Graduate degree in Biotechnology Engineering OR Post Graduate degree in Biotechnology for Senior Biotechnologist. Qualification: Post Graduate degree in Management/ Business Administration / Personnel Management. / Social Welfare / Social work / Industrial Relations for Senior Officer-HR. Qualification: Graduate degree in Computer Science /IT Engineering for Senior Engineer-IT/ERP. Qualification: Graduate degree in Electronics & Communication Engineering / Electronics & Telecommunication Engineering / Instrumentation Engineering for Senior Engineer- Telecom/ Instrumentation. Qualification: Graduate degree in Engineering Or Post Graduate degree in Environment / Environment Engg. / HSE for Senior Officer-HSE/ Senior Engineer-Fire Service. Qualification: Post Graduate degree in Mass Communication / Public Relations / Social Work / Rural Management for Senior Officer-PA. Application process for Oil India Limited Recruitment 2017 is online. No manual/ paper application will be entertained. Candidates fulfilling the above criteria may apply online on the official website of Oil India Limited. The E-mail ID entered in the online application form must remain valid for at least next one year from the date of filling the online application. No change in the E-mail ID will be allowed, once entered. All future correspondence would be sent via E¬mail only. Percentage of marks would be the aggregate of all semesters irrespective of the norms / system being followed in the Institute/University. Wherever CGPA/OGPA/DGPA or Letter Grade in a degree/ diploma is awarded, its equivalent percentage of marks must be indicated in the application form as per norms adopted by the Institute. Rounding off of percentage would not be allowed. The website address is www.oil-india.com. Date to Apply for the Oil India Limited vacancy 2017 is from 13.07.2017 (10:00 hours) to 12.08.2017 (18:00 hours). Candidate need to choose center of choice for written test while applying online among Guwahati, Kolkata and New Delhi. The candidates who qualify in Phase I i.e. Written Test will only qualify for the next round of selection tests i.e. GD and Viva Voce. a set of copies of the same at the time of interview. mark sheet of Matriculation/10th Standard or equivalent issued by Central/State Board indicating date of birth in support of their claim of age will only be accepted. Degree/Diploma certificate along with all mark sheets pertaining to all the academic years/ consolidated mark sheet as proof of educational qualification claimed. In the absence of Degree/Diploma certificate, provisional certificate along with mark sheets pertaining to all the academic years will be accepted. Candidates employed with Government departments/PSUs/Autonomous Bodies have to produce No Objection Certificate at the time of interview without which they would not be allowed to appear for the same. Candidates working in PSUs must have at least one year experience in the next lower grade in the pay scale of Rs. 24900-50500. Reservation/relaxations for PWD candidates will be as per Government Directives. Persons with 40% or more disability only would be eligible for the benefit of reservation to PWD category against identified posts only. PWD certificate in prescribed format(s) (available at http://www.oil-india.com/oilnew/Current-openings) issued by the competent authority will be considered for appointment to the post on the basis of prescribed standards of Medical Fitness. The Competent Authority to issue PWD certificate shall be a Medical Board duly constituted by the Central or a State Government. The Central/ State Government may constitute Medical Board(s) consisting of at least three members out of which at least one shall be a specialist in the particular field for assessing Locomotor/ Cerebral / Visual / Hearing disability, as the case may be. Please note that no other format of PWD certificate shall be accepted. Caste certificate by candidate as SC/ST/OBC-NCL, in the prescribed format (available at http://www.oil- india.com/oilnew/Current-openings ) from the competent authority indicating clearly the candidate's caste/community, the Act/ Order under which the caste is recognized as SC/ST/OBC-NCL and in case of OBC-NCL candidates that he/she does not belong to the persons/sections (Creamy Layer) and the village/ town the candidate is ordinarily a resident of will only be accepted. Please note that no other format of SC/ST/OBC-NCL caste certificate shall be accepted. If the SC/ST/OBC-NCL/PWD certificate has been issued in a language other than English/Hindi, the candidates will be required to submit a self-certified translated copy of the same either in English or Hindi.